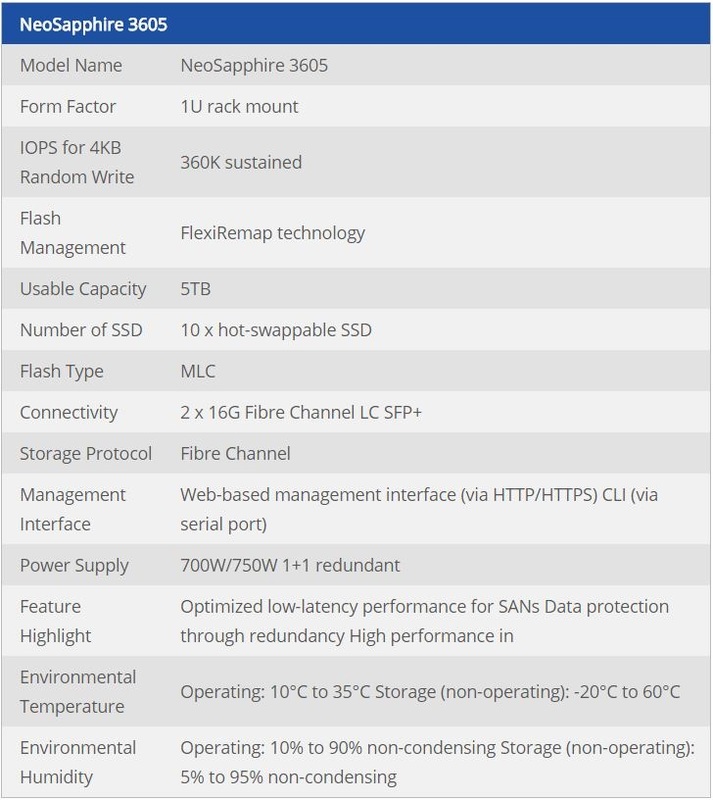 ​NeoSapphire 3605 provides 5TB usable capacity. 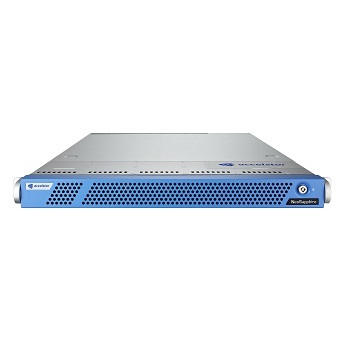 It equips with dual port 16G Fibre Channels (Backward compatible to 8G Fibre Channel) make it easy to integrate the existing SANs environment, especially for banking and media production industry. With the 360K random write high performance, it helps the IT staff more productivity and make the storage topology easy to deploy. By power by FlexiRemap technology, thin provisioning and zero page deduplication make it easy to manage the storage capacity.